Would you eat eight courses of English peas? “No single ingredient is ever repeated throughout the meal,” reads the description of the tasting menu at Thomas Keller’s French Laundry. The idea is that each bite is a singular, wondrous surprise, never repeated, always leaving you wanting more. But if a tasting menu repeated the same ingredient in every course, could each bite still be a wondrous surprise? The answer, it turns out, is yes. The one-ingredient tasting menu has emerged as a new way for chefs across the country to flex creativity and skill, while minimizing waste in their kitchens. Meanwhile, on the West Coast, Aaron Meneghelli, executive chef of FARM restaurant at the Carneros Resort and Spa in Napa Valley, was also struck with the same notion. Three months ago, Meneghelli redesigned his five-course tasting menu to incorporate one single ingredient in each dish, though his team is switching that ingredient once every two weeks. 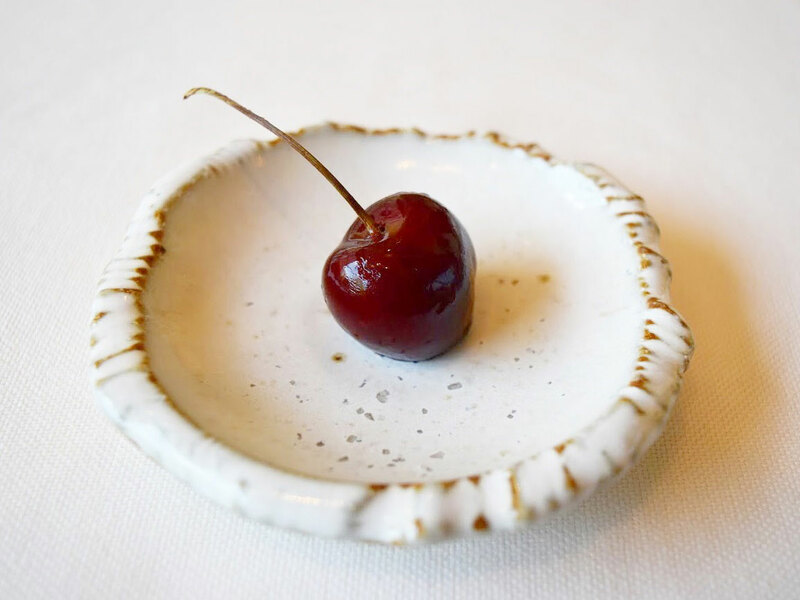 Pulling from the resort’s new on-site culinary garden, and from local farms, the stars so far have included cherries, beets, white apricots, and corn. 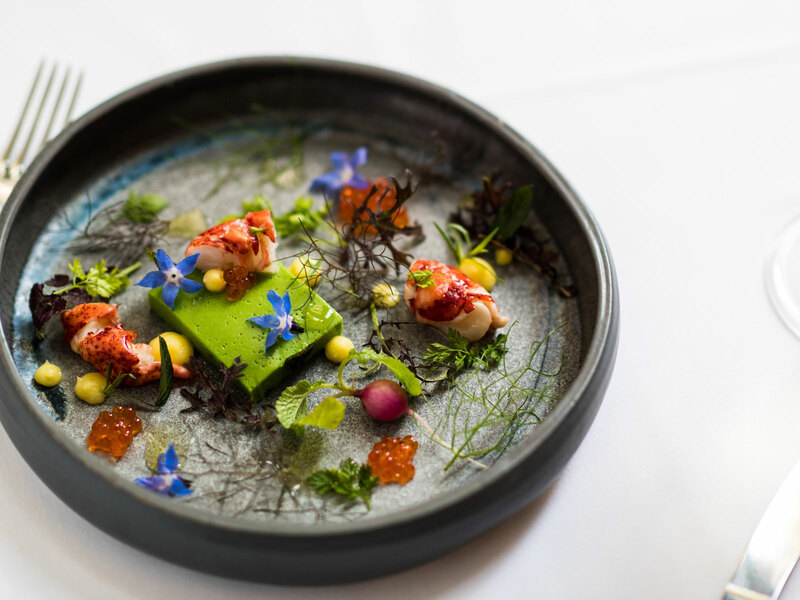 For a spring menu highlighting English peas, there was an English pea panna cotta with poached Maine lobster, lemon curd, and vanilla oil. 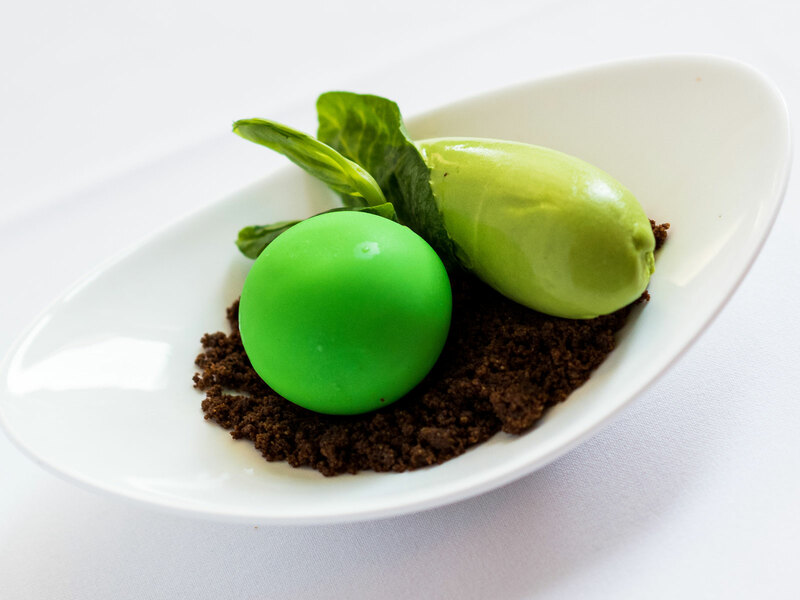 Peas became a glaze for a prime New York strip steak, were crushed over fish, and were churned into a green pea gelato with white chocolate ganache and cocoa streusel. According to the chef, the change was also the natural next step after the practice of maintaining a low-waste kitchen by using every part of an ingredient. “I've always tried to use the plant as much as I can,” he says. Finding an ingredient to commit to and properly show off has been, perhaps, a little easier with the bounty of in-season produce available this spring and summer. So are the chefs nervous about the winter?